The Cambridge sculpture was commissioned by Cambridge County Council in 2004. It depicts local historic finds from the bronze age through to Roman times. 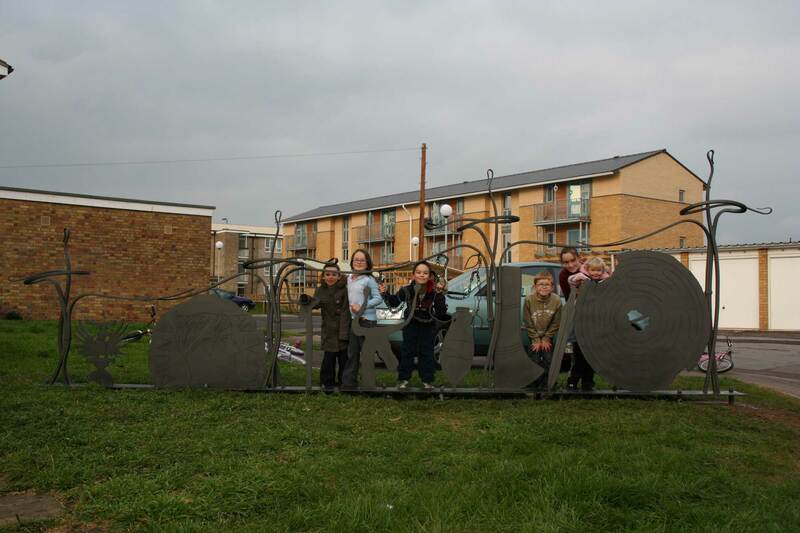 The piece is situated on a housing estate in the city. Hand forged and fabricated in mild steel by Andy Quirk, Rob Kranenborg and the Utopia forge team.